Most dudes would love to be able to sit around and watch sports all weekend, but they have houses keep up, kids to keep alive, and women to keep happy. Lucky for me, I rent, practice birth control, and ignore my girlfriend. Check out my thoughts on what's going on in sports. With March Madness wrapping up tonight, I've gotta say, I love college hoops. I still think the NBA is a better product, the tournament has to be one of the greatest sporting events in existence. It's a safe bet taking Kentucky over Kansas tonight, based on the talent superiority of the Wildcats. I've heard a ton of people saying Kentucky could beat one of the crappier NBA teams, and maybe 3 times out of a hundred they'd be right. Kentucky might have 6 NBA bound players, but the level of basketball competence and experience of any pro team would have them winning over 95% of the games. Football is 99.9%. 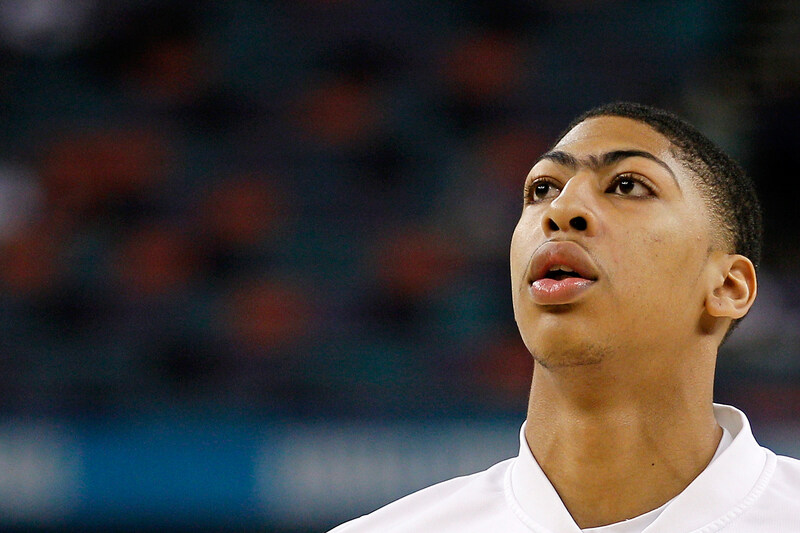 Also, how has Anthony Davis not taken care of this unibrow? The biggest story coming out of the NFL isn't Tebow or Peyton Manning, it's gotta be the fall out from the Saints bounty program. Not only have the Saints been hit with a head coach suspension, draft picks stripping, and fines. but now there are talks of criminal charges. The NFL Players Association recommended that the 20+ players that will be meeting with league representatives have both a lawyer and a Players Association representative present. Mike Florio of ProFootballTalk.com, thinks that charges for actions between the whistles are pretty unlikely, but players may need to be concerned about tax problems. The bounties amounted in the thousands, and went undeclared. Also, ex-NFL first round pick QB, Ryan Leaf was busted for burglary and drug possession. I'm sorry, I get that addiction is a terrible thing, but get your life together loser. You had a opportunity most people would kill for and you blew it. News coming out of the Lions organization wasn't the best. 2nd year running back Mikel Leshoure was busted for weed. The incident happened in Baroda Lake and is Leshoure's second offense in under a month. Officers observed Leshoure chewing marijuana and he later admitted to smoking, though he claimed most of his product was just potpourri. Leshoure missed his entire rookie year and personally, I can't stand athletes that smoke. You know the rules and get paid millions. Make your money, and smoke all the chron you want when you retire. 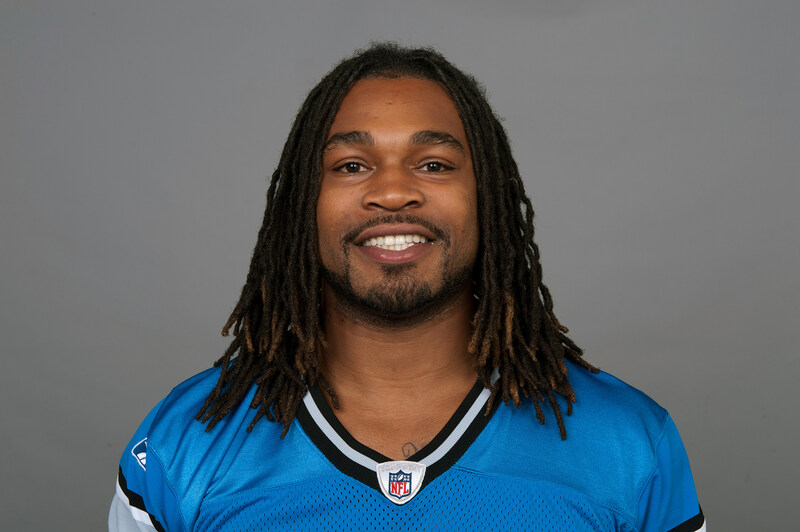 I hope the Lions get rid of this dude. It's hard to believe that the playoffs start next week, but it's true, and as of today, the Wings have home ice in the first round. The bad news is that home field isn't nearly as important in hockey and the Wings haven't look like contenders over the past weeks. The Wings beat the lowly Panthers on Sunday, but have won just 4 out of their last 14 games. It seems like Vancouver is getting hot at the right time, and I've gotta assume we'll see them coming out of the west. Let's look at how I think the AL Central is going to wash out. I'm pretty sure Tigers fans will see something like this again. 1. Tigers- Really, no explanation needed. The Tigers should be a step above the rest of the Central, so long as Fister solidifies himself as one of the best number 2 pitchers in the game, and the bats swing like everybody expects them to. 2. Indians- It speaks to how bad the division is if I'm putting a Cleveland team at 2. I think Ubaldo Jimenez is going to have a bounce back year, especially after I saw him intentionally bounce a ball off an ex-teammate in spring training. 3. Royals-The Royals have some young bats in their lineup and some awful pitching. Still I can see them swinging their way into some wins. 4. Twins-Joe Mauer is an awesome baseball player, when he's not hurt. He got a full season in last year, so I've gotta think he's going to miss some time this season. The Twins also lost a ton of veteran experience this offseason, and I don't think Joe can carry them that far. 5. White Sox- Awful team. The loss of skipper, Ozzie Guillen, combined with pay cuts of almost $20 million, the Sox are going to sux, and they know it. The NBA regular season has about a month left, and frankly, I loved the shortened season. The Christmas day start, and the frequencies of games just felt right to me. I know a lot of people aren't following this year, thanks to the Pistons being so awful, but keep the faith people. 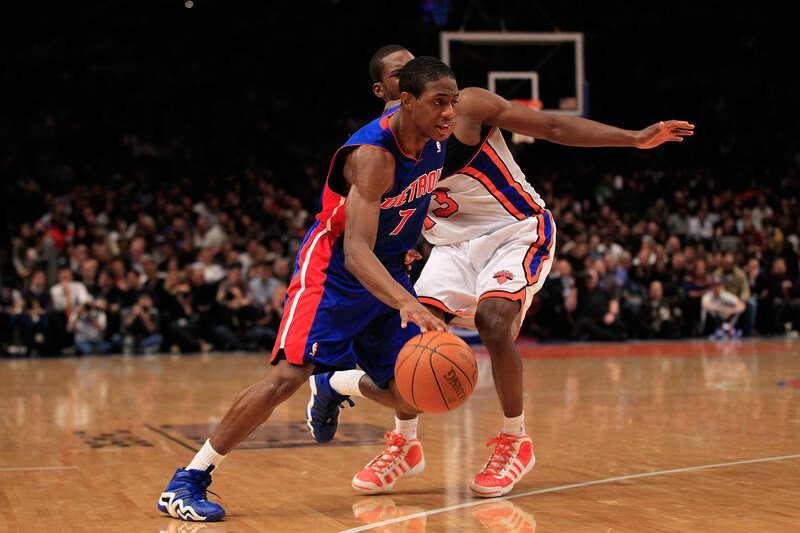 This years draft is loaded with talent, and Pistons fans need to be in full tank mode. Every loss is a win. If you love the Pistons, you've gotta hope they lose. And, both Brandon Knight and Greg Monroe are going to be All Stars in the next 3 years. Other than that, I just want to say that the Miami Heat are frauds. I'll be shocked if the Big Three are together next year. They've digressed as this season has gone on and LeBron James isn't man enough to go get a ring. I've got the Bulls coming out the East and the Thunder as the favorite in the West.